One of the best things about British Columbia is that it is full of luscious landscape and incredible open areas to explore. 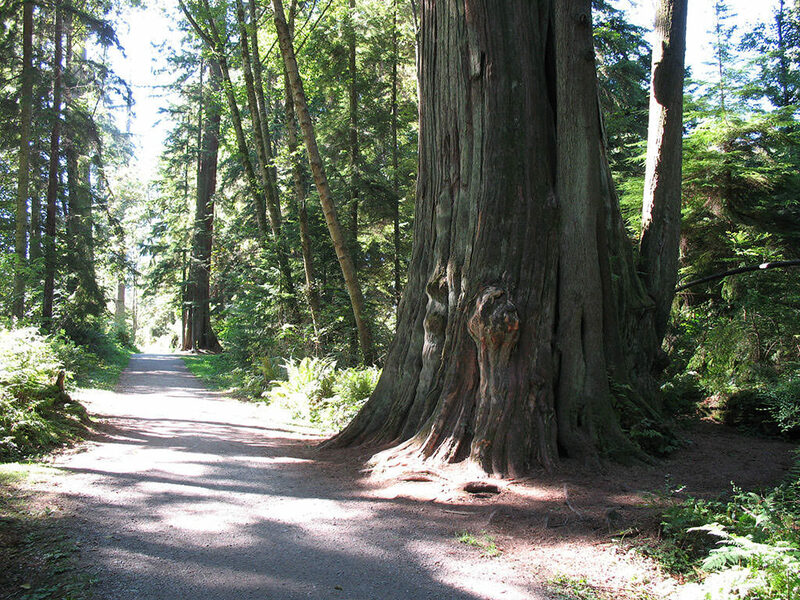 One of those areas is Stanley Park – a whopping 1,000-acre park that holds some of Vancouver’s must-see attractions. Entry to this landmark is totally free (woo!) and you’re free to do whatever the heck you want. Want to cycle the 17 miles of forest trails? You go ahead. Want to see what the place has to offer but don’t fancy walking? Well, there’s the hop-on-hop-off trolley or the horse and carriage, silly. Fancy going for a swim? Stanley Park has spoiled you with this one – as you can either swim in the fresh water, the heated outdoor swimming pool or have a frolic in the outdoor water park. We’re sold. When you think of Canada, you probably don’t think of rolling sands and sunbathing. However, those Canadians just love to please – and can offer you the famous Kitsilano Beach. When the weather is warm, and the sun is shining, Vancouver locals love to take a trip down to ‘Kits’ beach to sunbathe with one of the best views in the country. Yep, this beach has a perfect view of the snowy mountains, which you can check out while you’re skating down the boardwalk or playing volleyball on the beach. If it’s a little too chilly for you when you go, they’ve got you covered. The Kitsilano Beach has an epic heated outdoor pool for you to use at your leisure. A trip to Vancouver would not be complete with a trip up into the mountains. Grouse Mountain is perhaps one of the most famous peaks in the country and is located in North Vancouver. The snow-capped has been a firm favorite for locals and tourists for hundreds of years and is quickly offering visitors more and more to do. Take the cable car up to the top and check out the incredible views before you hiking the 2-mile Grouse Grind trail, and checking out the epic lumberjack show. After you’ve seen everything the mountain has to offer, you can ski down the incredible pistes to the bottom of the mountain – just keep an eye out for bears! Whenever we visit any new destination, we love to find a high point and look out over the amazing landscape – normally in the form of a tower, or a lookout. Thankfully, Vancouver offers visitors an incredible 360-degree view of the city from the Vancouver Lookout. The Lookout is located in Downtown Vancouver, on the 55th floor of the Harbour Center building. 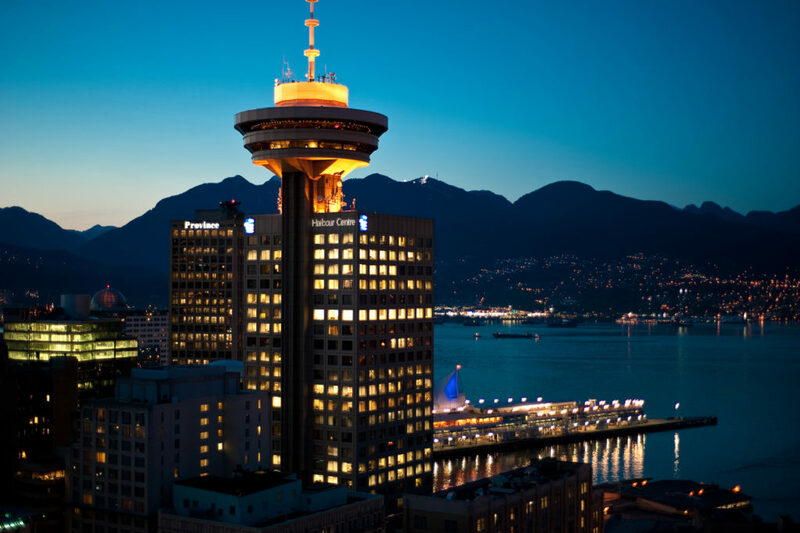 A 40-second elevator ride will take you 550 feet above sea level, so you can check out everything Vancouver has to offer. The Lookout offers all visitors a guided tour and has information about the city you just have to know before you get back on the plane home. Are you looking for your next vacation destination? Well, there’s no question about it – it just has to be Vancouver!